The the survey results can be downloaded below and a free teaching resource is available here. Catshill Learning Partnerships, along with education technology association, Naace, have announced the results from a national survey of pupils’ internet use at home. The survey, which involved over 60 schools and over 19,000 pupils from across the UK, asked questions about the devices young people are using to get online. As expected, the results show that children of all ages are using a wide range of devices, but the figures for very young children surprisingly revealed that over 60 per cent of four to five-year-olds are using tablets to get online. The tablet is the online device of choice for primary children, but for secondary school-aged children, the smartphone is the most popular choice. A wide range of other connected devices were being used at home. The most popular devices in the ‘Internet of Things’ category were other consoles such as the Nintendo DS, heating controls, smart meters and portable media devices. Smart fridges and kettles were mentioned but less common. Edtech and online safety consultant, Brett Laniosh, from Catshill Learning Partnerships said, “We now know that children are using a wide range of technology to get online at home, but the findings for younger children will surprise many. The fact that so many four and five-year-olds are using smartphones and tablets to access what could be unfiltered content is of concern and one that is echoed by the Children’s Commissioners report “Growing up Digital” released earlier this month. 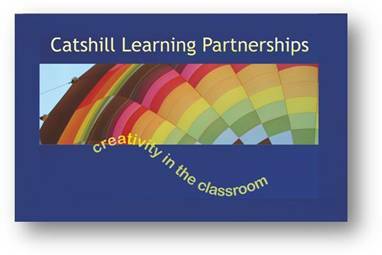 Catshill Learning Partnerships is an independent computing, ICT and e-safety consultant network, providing curriculum support to schools. Established in 2011, its school-based services also include professional development and educational technology advice. Catshill Learning Partnerships are Naace Delivery Partners. A national network of trusted educational organisations who work together to provide quality support services for schools. Naace is the national association for everyone promoting learning with technology in a connected world. Naace is the professional association for those concerned with advancing education by capitalising on the opportunities of the connected world and technology. This involves advancing pedagogy and ensuring that strong computing knowledge and skills are spread to all pupils and all teachers. The Naace community provides support and professional development opportunities for teachers and school leaders. Our membership also includes advisers, consultants and industry partners. Naace administers the ICT Mark and the Self-review Framework and has developed the Third Millennium Learning award to enable schools to share their insights on how to take education to the next level.